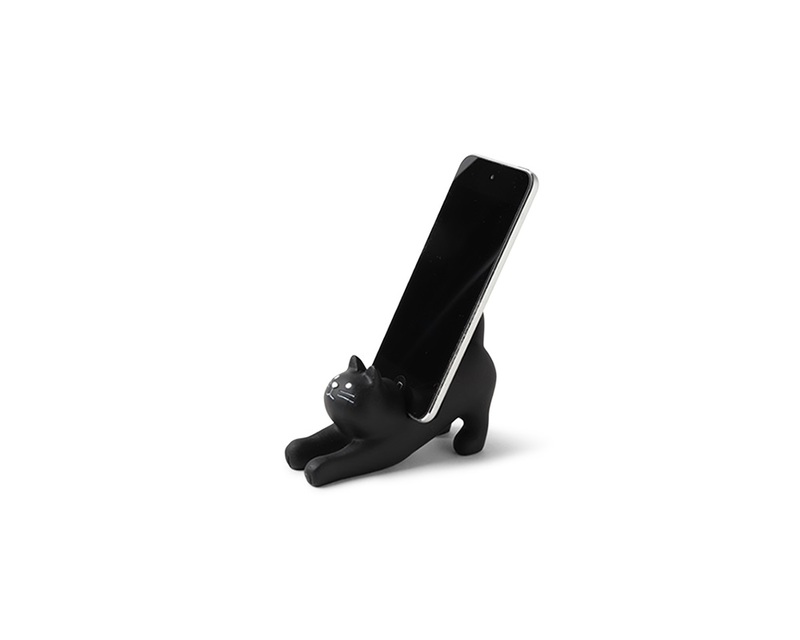 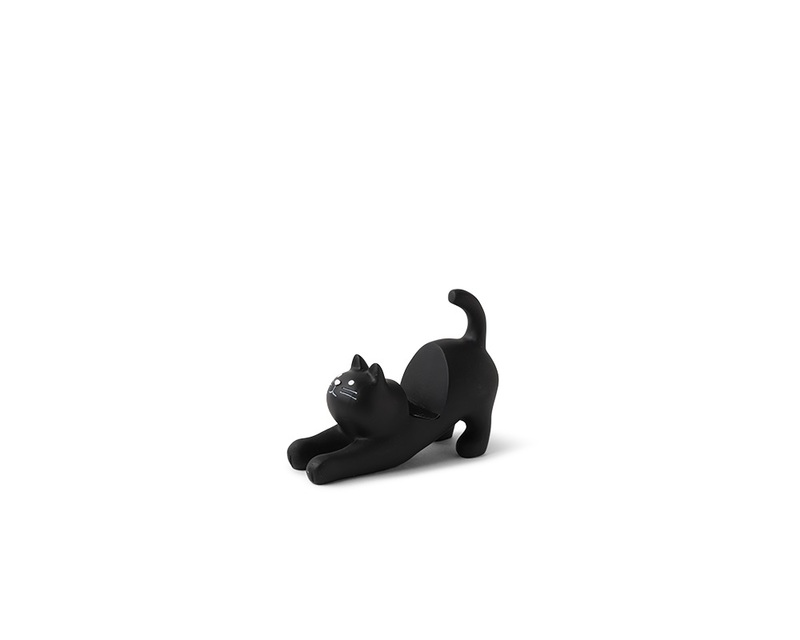 Black cat phone stand from Decole Japan. 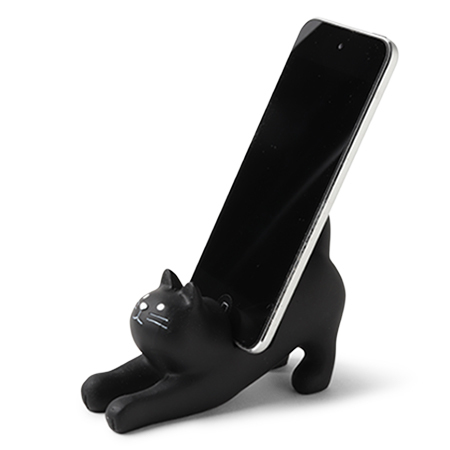 This cat is not just stretching for his own sake, he's ready to hold your phone or small electronics! 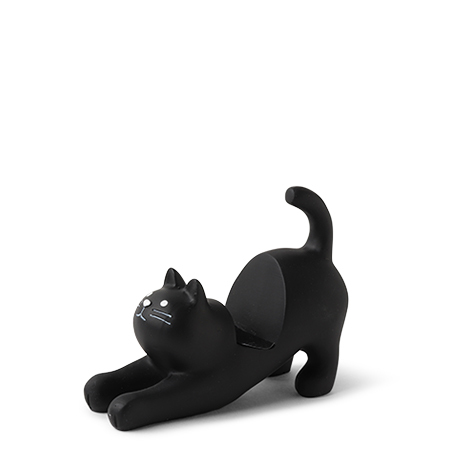 4" x 1.5" x 3.25"H.